We are fully insured and licensed to perform work in all of Wright County, Plymouth to Minneapolis and surrounding cities. We’ve built our reputation in the West Metro, Wright County, and Buffalo and surrounding communities throughout the years as we provide a service that will protect the life of your home and deliver better health to each member of your family. We employee only the best skilled technicians and partner with high-quality manufacturers so you can rest assured that the quality of your air is nothing less that perfect. When you contact DeZiel Heating & A/C, you’ll always get top-notch service. 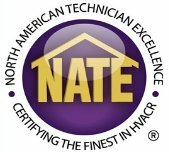 If you are looking for HVAC Professionals then please call 763-684-3965 or complete our online request form.